The Joey Giardello Statue took another step forward on Tuesday (11/23) when the bronze was poured at the Laran Bronze Foundry in Chester, PA. 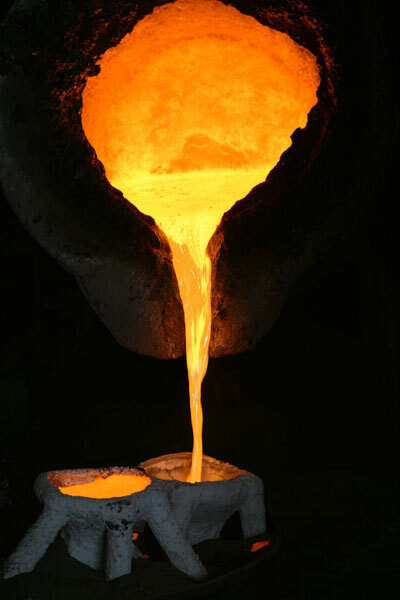 The molten metal that you see in the posted photos is the actual material of the statue. Currently the seven-foot Joey is like an un-made 3D puzzle. 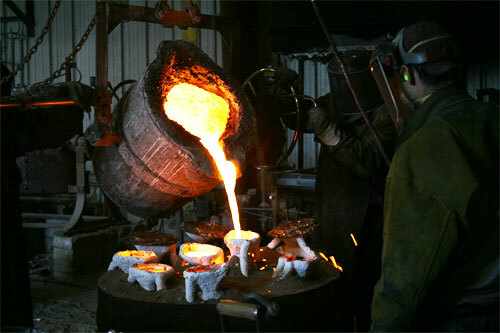 Several individual molds were filled with liquid bronze heated to about 2400 degrees. After cooling, the white ceramic molds were shattered and removed from the raw bronze. The next steps are the assembly, welding and polishing of the statue. Assembly begins next week. The final work won't be placed on Passyunk Avenue until the Spring, but the wait will be worth it.